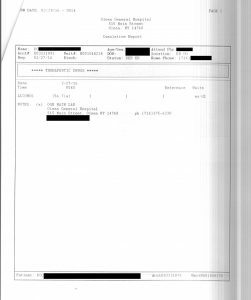 On February 26th, 2016, a local civil and constitutional rights activist traveled to Buffalo, New York, for a meeting with a victim of the criminal Lori Rieman’s satanic conduct. The purpose of this meeting was to acquire evidence of the buy off of the victims law firm by Rieman to throw his federal lawsuit case in favor of Rieman so as to make it appear in the eyes of the public that the victim did not have a case. The activist committed the greatest crime in the history of New York. He met the other victim while exercising his constitutional rights and he actually drank beer, the most outrageous illegal activity you can do in Western New York. 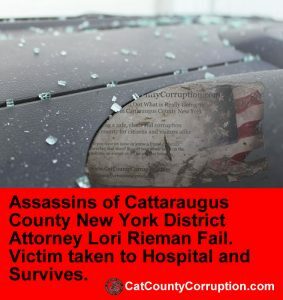 Cattaraugus County District Attorney Lori Rieman and her office is one of the most corrupt, racist and evil organizations that has ever existed in New York State. The victim gave the target of the assassination attempt, one Christopher Kochan, important documents that he had acquired from the Appellant Division of the 4th Department of New York and other information which proved beyond all reasonable doubt how Rieman and the law firm were conspiring against the victim in a attempt to thrown the case. 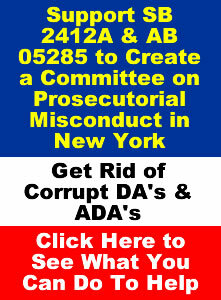 This is further proof of why New York State is considered the most corrupt state’s in the country. 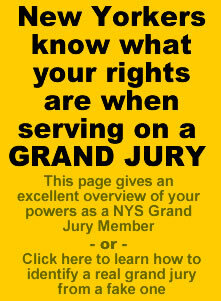 What is so sad about the corruption is New York State has one of the most powerful citizens grand jury system in the world, yet almost all New Yorker’s have no clue on it. 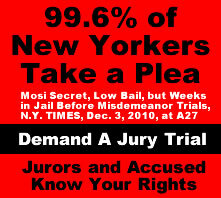 It would be so easy to clean up the corruption in New York if it’s citizens exercised their grand jury powers. After the target of the assassination finished with this victim of Rieman he traveled to the south towns to have a late dinner. Once he finished with dinner he went back to Buffalo to have desert. After desert he went about enjoying his constitutional rights which included traveling home. He saw a cop car as he was just about home which it pulled a u-turn and wait for him to pass. This was at the start of Route 242. The target of the assassination being concerned of the fast turnaround by the cop started video recording. 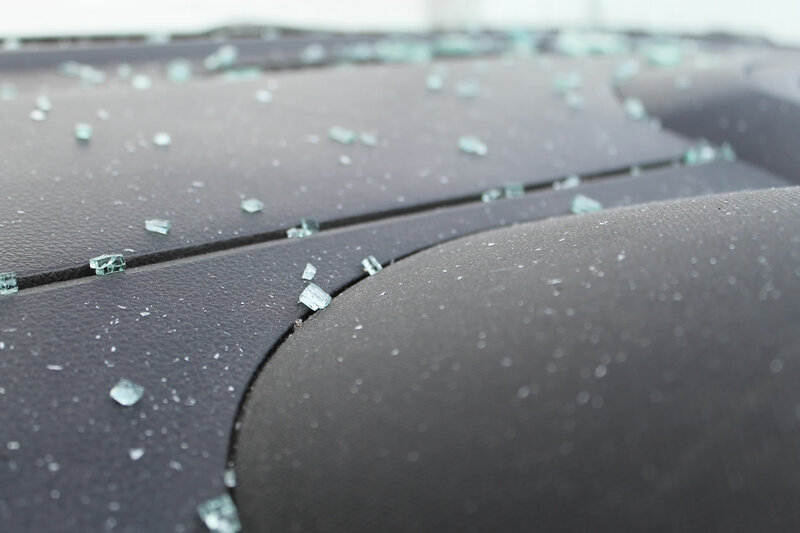 Understanding the criminal nature of the local police department Mr. Kochan had installed video recording equipment in his car to document the criminal activity of the local RICO revenuers which it appears is considered illegal to do. 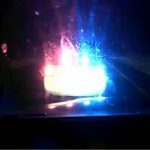 This Cop’s training was by the same totally corrupt police department (Salamanca PD) that attempted to set up a Seneca father and son for crimes they did not commit who were found innocent of all the charges filed by the corrupt and racist District Attorney of Cattaraugus County Lori Rieman. This is another lawsuit in the making that we the taxpayers will have to flip the bill for. Mr. Kochan has been the target of the corrupt elements in New York State since the late 90’s, when he exposed the corruption in Jamestown, New York. In his latest efforts to protect the rights of his fellow New Yorker’s he has been forced to see 10 different “mental health” experts because he was representing himself and further only two of the “doctors” found that he was incompetent. Can you guess which ones they were? The government ordered and paid for ones hired by the County, that’s who, is that any surprise? Further four judges voluntary recuse themselves from his case. In reality it was three who voluntary recused themselves, the other one took a leave of absence. This appears to be a precedent in New York State. ADA William Preston Marshall, AKA Baby Faced Finster, claimed that Mr. Kochan was not capable of representing himself even though he won a Department of Motor Vehicles appeal in the matter. Talk to any lawyer who is familiar with DMV appeals and you will discover that wins are extremely rare even for lawyers and he did it pro-se, yep he sure is not capable of defending himself. As one of his highly educated friends stated; “your the pro-se who knows to much”. In New York State it is illegal to represent yourself and you will be considered mentally incompetent if you do. This is reminiscent of Stalinist Russia. 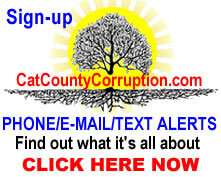 The ironic part about this is Marshall, AKA Preston Marshall, Bill Marshall, Will Marshall (he keeps changing his name to hide is online identity) is the same one who’s conduct was ruled illegal that caused the four million dollar lawsuit against Cattaraugus County and District Attorney Lori Rieman and is representing “the people” against Mr. Kochan. So Mr. Kochan pulls to the side of the street and turns off his lights. He was about to turn on his running lights when the truck goes by but their is no cop car behind the truck. So he turns on his lights puts the car in drive, proceeds to the stop sign on Hencoop Hollow, stops and turns right onto route 242 up the first hill into Little Valley. Mr. Kochan pulls one to 242 to get behind the Cop Car. 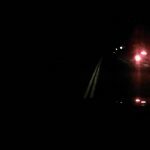 As he is heading up 242 he notices the headlights of a motor vehicle behind him. He was wondering if it was the cop he just saw earlier. He turns his attention to the road ahead then a car flies by him in the opposite direction well above the speed limit. He thought to himself, that guy is going to be in trouble, there is a cop near by. Mr. Kochan turns his attention back to the rear view mirror to see what the car who just flew by him was doing. 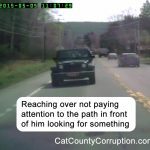 The a car flies past him in the opposite direction and does the u-turn, which he starts recording, at the same time the intended victim see a Cattaraugus County Sheriff’s patrol car pulled off to the right side of the road just in front of him. 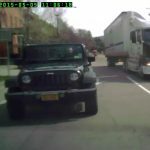 As he passes by it he moves over slightly into the left lane to safely pass it. 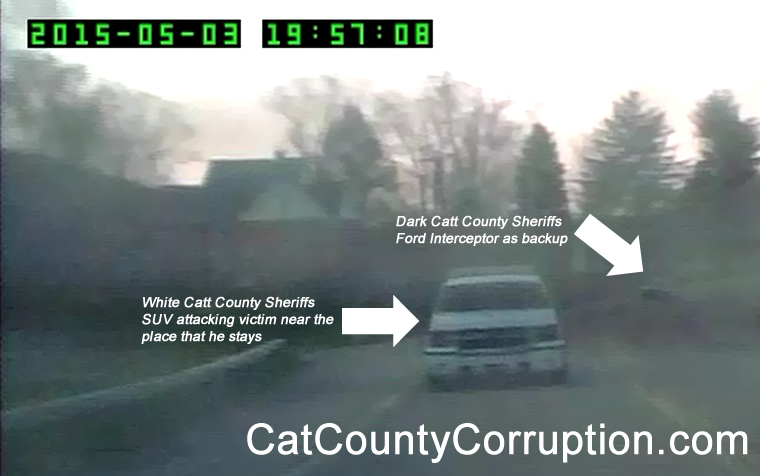 Right after he passes it the Sheriff’s patrol car does a u-turn to head back into Ellicottville however it cuts right in front of the car that just did a u-turn. 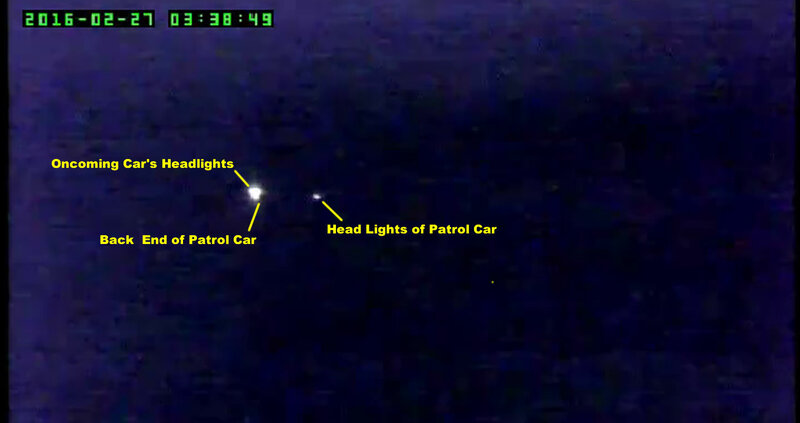 The car that is cut off has to veer to the right in order to miss colliding with the Sheriff’s patrol car. He watches it pull right in front of the car coming up behind his car. The car that was coming up behind had to hit his brakes and swerve to the right in order to avoid hitting the car that flew passed him and crossed over into the other car’s oncoming lane. Mr. Kochan thought to himself, if that was the cop car that was coming up behind him that other driver is in serious trouble. He also expected that if it was a cop car the lights would go on on the car behind him for the driver of the car that just flew by him and pulled into the opposite lane. But that was not to be. 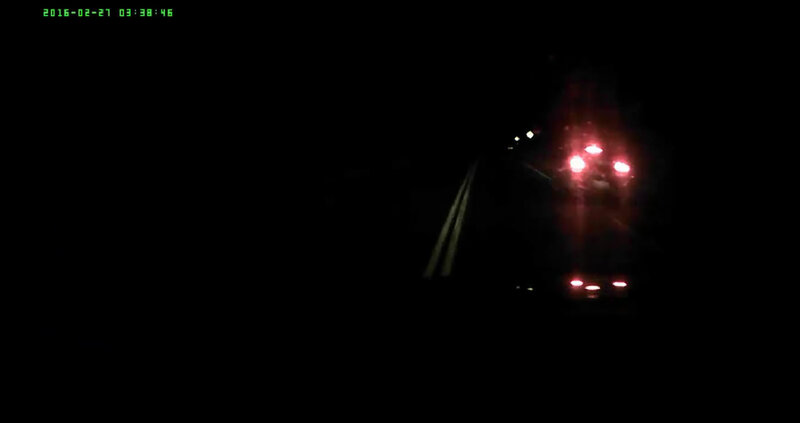 The car made the turn around and no lights came on. Mr. Kochan started to believe that the car that just flew by him was another cop car and by the Sheriff’s patrol car pulling in front of the other cop car he started to think both of the drivers exhibited psychotic traits and became worried that his life was in danger. The other thing he was worried about is if they stopped him they would steal his video camera and delete the recorded event of what just happened and/or was about to happen. It was in a remote area of the county to however it was a well traveled road but not at this time of the day. 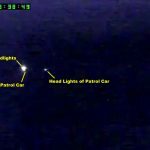 The next thing you know the car that was originally coming up behind Mr. Kochan’s car started to tailgate Mr. Kochan and the cop turned on his spot light and blinded Mr. Kochan, further he did not turn on his lights at that time. The intended victim started to really fear for his life. He realized that if he did not get to a safe location where their were lights and a video system that was not under the control of the criminal psychotic cops that were tailgating him he would have no proof of what happened. 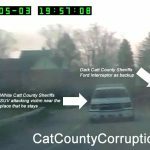 He wanted to get to Crosby’s in Little Valley to pull over to ensure everything was caught on a 3rd party video system that neither the criminal cops or he could touch without a court order. In other words it could not be deleted or tampered with in any way, but that was not to be. 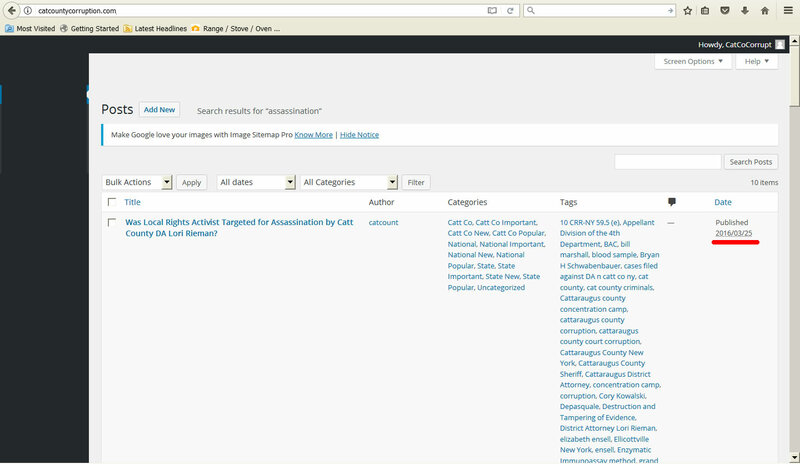 Their are many examples of where the DA’s office and/or the local courts destroy, fabricate or alter evidence. The criminal turns on his lights after tailgating Mr. Kochan for about 1/2 a mile or so in the area that route 242 is a no passing zone at the start of the second hill into Little Valley. The next thing you know the cop moves into the opposite oncoming lane and gets besides the victims car then cop rev’s his car back and forth moving out in front of the victims car and back like he wants to race him. This appeared to be an attempt escalate the situation in the hopes that the victim would start to race him. The victim did not fall for it, he was terrified for his life at this point but maintained the proper speed and lane, he only wanted to get into Little Valley to pull over at Crosby’s so it could all be recorded by a system that the criminals had no control over and could not delete. He also realized he was dealing with psychopathic cops that were attempting to create a crime that never occurred that the victim could be blamed for. 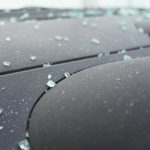 The cop appeared to realize that his victim was not falling for his attempt to create a crime so he pulled out in front of the victim’s car and hit his brakes causing the victim to come to an immediate stop. The cop and the sheriff deputy (who’s name remains unknown at this time) are at the victims car door with weapons drawn pointed directly at the victim in no time, almost before the victim could come to a complete stop. 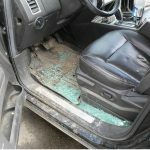 Was it the cops intentions to hit the brakes in the hopes the victim would hit his car so he would be justified in shooting him? It happened so fast that the Mr. Kochan did not even have time to put his car into park or turn off his music. The only thing Mr. Kochan had time to do was to raise his hands which he was terrified to do so because in the U.S. you get shot if you do that. The cops were yelling something at Mr. Kochan but he could not hear them because of the music, so he decided to take another chance and using his right hand slowly used it to turn off his stereo. He turned his head over to the right to locate the button to turn off the stereo. He turned it off and started looking back towards the cop when he heard a loud bang and glass started flying everywhere. The next thing he knows the left side of his head and body is slammed to the pavement and he has serious pain in his right upper chest. He did not know if he was shot or what. From the unlawful stop to being slammed to the pavement and handcuffed was maybe about 15 to 30 seconds. He basically did not have time to react to anything. The paragraph directly above was use by the ‘ADA’ Elizabeth Ensell at the trial in an attempt to claim that Mr. Kochan provided inconsistent statements due to the exact time of the “unlawful stop to being slammed to the pavement and handcuffed was maybe about 15 to 30 seconds.” This article was written soon after the event occurred and was left intact and published before the video evidence was available and was not reviewed after the video evidence was made available. Missing Paperwork From Case File. Click to Enlarge. After reviewing the video evidence we decided not to update this issue because while not exactly accurate in the “15 to 30 seconds” it appeared that Mr. Kochan was unlawful stop to being slammed to the pavement and handcuffed was in the 55 to 65 second range, which while about double the original time stated, it was still only about ONE MINUTE and due to the brain tramua Mr. Kochan sustained he was not 100% accurate in the timing do to his loss of consciousness. ENSELL EVEN REFUSED TO ADMIT THE ARTICLE INTO EVIDENCE FOR THE JURY TO REVIEW and it disappeared from the court file further proof she just wished to confuse the Jury. He is then yanked up off the ground and handcuffed and placed in front of his car. Still in serious pain and angry he starts calling the cop and the other cops criminal’s. What did he have to lose? He then notices that the cop that stopped him was wearing a body cam. 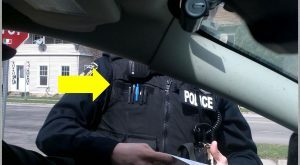 The victim states to the psychopath that he noticed he has a body cam on and stated to the effect “good, you are recording this”, at which point the cop looks startled, so startled in fact he takes a step back and soon after disappears and the victim does not see him until later that morning. Another cop appears and she is wearing a body cam also. This cop accompanies the victim the whole time, from the unlawful stop/kidnapping/attempted assassination right until he is place in the local Cattaraugus county concentration camp. The victim is bleeding and disoriented from his head being slammed to the pavement and is still unaware if he had been shot. A ambulance arrives and the victim is place in it and handcuffed to the gurney. 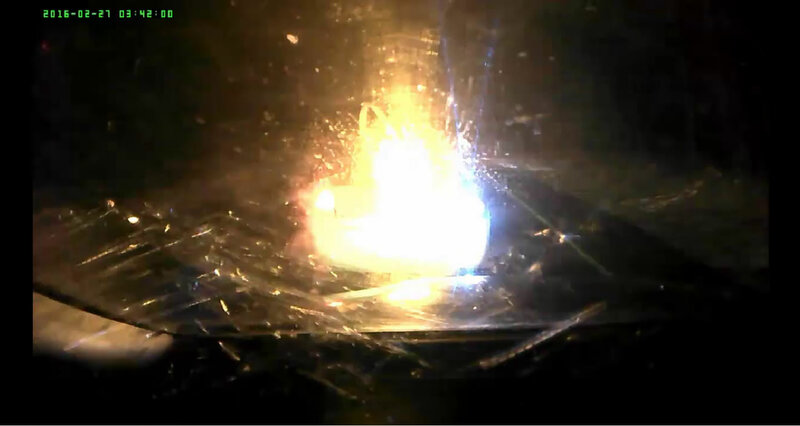 The victim is spitting up glass constantly. He was lucky he was wearing eyeglasses or he could have lost his vision. There were small shards of glass everywhere which would have seriously injured his eyes and destroyed his ability to run his business. See how evil these psychopath’s truly are? The whole time the cops are making it into a Hollywood production, the video shows them handing off body cams left and right recording everything. Discovery will prove interesting. So he ends up at Olean General Hospital where he is given about seven x-rays and at least two CAT scans. It appears that he was not hit by a bullet however he may have sustained a fractured scapula and collar bone as well as a concussion. The follow up recommends the victim goes to ECMC for a neurological assessment for brain and/or spinal injury. While at the hospital Mr. Kochan submits to a Breathalyzer test but the cops refuse to allow him to take one. Mr. Kochan does not want a blood draw because they can be tampered with much more easily than a Breathalyzer test. 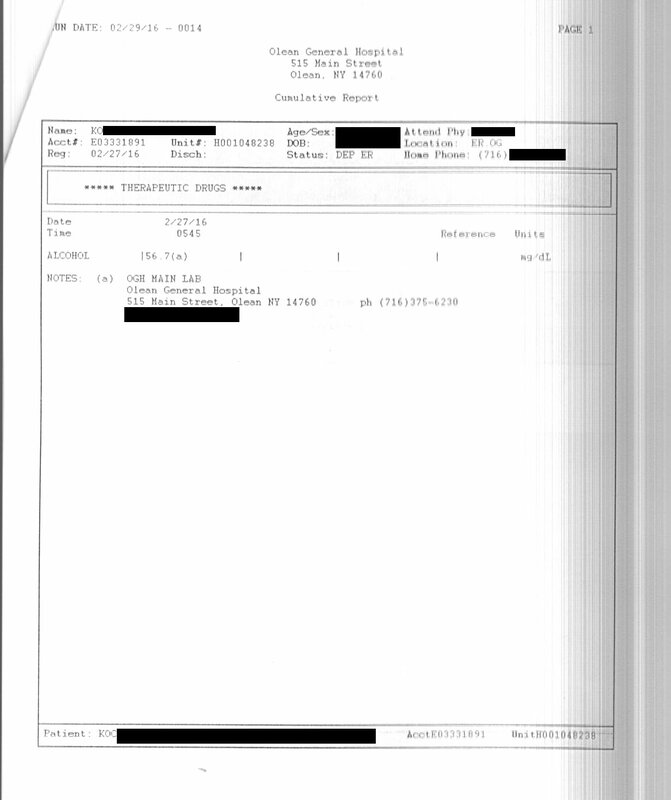 He then says no to the blood draw and the cop talks to someone on the radio stating that he has refused the BAC test. The victim mentions the Olean Police Department was right down the street and State Police Lab was right up the Street. Nope, he still was not allowed to take the test. At this point after being assaulted in a failed assassination attempt and his injuries, and told he was not allowed to take a Breathalyzer test though threats, duress and coercion he did not put up a psychical fight because the doctor promised that they would also test for BAC so he could have the results within a hour from the blood draw (Which the procedure that was used is a subject of another article). He was also worried if he would be assaulted again by the psychopath’s when he left the hospital. While this was going on the victim became the subject of attention by all the other cops that were at the hospital that morning. They were all trying to convince him and get him to admit that he was driving around without his lights on. They even started to imply that he drove all the way from Buffalo with his lights off. This is one of the tactics they will use in an attempt to get someone to admit or provided evidence that they did something they did not do. OK, whatever. But of course this videos came up missing, about two hours worth. How convenient. 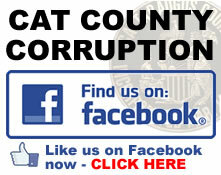 Its a standard policy and practice in the county to destroy and/or edited videos which is completely illegal. The BAC test results come back at .05%, By law you can’t even be charged with a DWAI for that pursuant to VTL 1195 (2) (a). In all cases the blood has to be analyzed by the State Police crime lab in Albany New York which takes about three months to get the results. But they rushed this job. They sent it to the Erie County Medical lab for forensic testing. They wanted the test results back quick. They came back even lower at 0.04%, proving tampering had occurred. However, the hospital blood tests use the Enzymatic Immunoassay method that combines all alcohols in the blood and other substances can also be included. Some of the other alcohols are methanol, acetone and isopropyl. Injury, specifically head and soft tissue injury can also produce higher results. The Enzymatic method does not factor out and measure specifically ethyl alcohol, the alcohol that is considered the intoxicant that a person is held liable for. 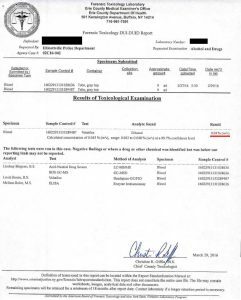 Mr. Kochan had the test method confirmed by the hospital and thoroughly documented it. 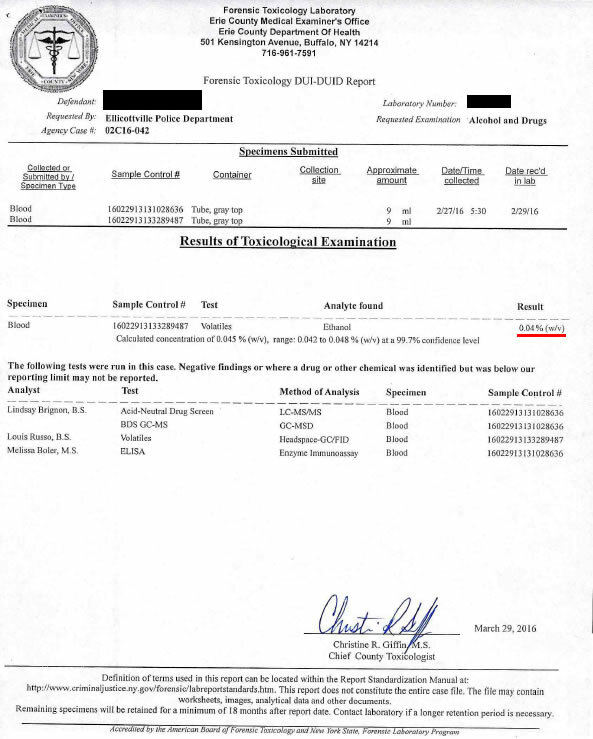 In other words Mr. Kochan was well under .05% so he could not even been charged with a DWAI and the tests better come back from the state police lab well under the .05% or that will be absolute proof that the blood samples were tampered with (this was written before the test results came back lower proving that . It is very easy to tamper with blood samples. Further proof of why they wanted a blood sample and not a Breathalyzer sample. Some of the tampering methods are using someone else’s blood or injecting ethyl alcohol using a syringe into the sample. As a side note breathalyzer’s measures only ethyl alcohol however there is serious issues with the calculation mathematics of Breathalyzers. 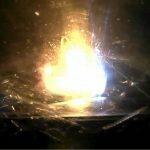 To this day ALL Breathalyzer manufactures have refused to release their source code in order to study it to prove the mathematics that determine the BAC is reliable. Will criminally minded DA Lori Rieman and her criminal cohort Ensell attempt to use the junk science approach of retrograde extrapolation to claim that the BAC was higher? What more would you expect from psychopaths? VTL 1195 (2) (a) Evidence that there was .05 of one per centum or less by weight of alcohol in such person’s blood shall be prima facie evidence that the ability of such person to operate a motor vehicle was not impaired by the consumption of alcohol, and that such person was not in an intoxicated condition. Common law DWI: which by law he could not be charged with, however this is Cattaraugus County. 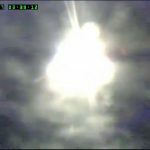 inadequate lights: The alleged probable cause which the videos will prove this is a lie to if they have not been deleted by the criminals RICO elements. 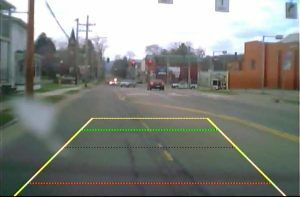 Failure to signal stop: Yes that’s right, in Cattaraugus County New York when a cop pulls in front of you and slams on his brakes its your fault that you came to an immediate stop and did not hit him. What are brake lights for anyways? So Mr. Kochan gets his head bashed in and shoulder area injured over an alleged inadequate lights traffic violation which is not even a crime. The whole thing was recorded by him and by the criminals psychopaths, who took the victims video recording equipment so we are sure they have deleted it. They have done it in the past. The best part about this was the fact that when the cop came back to take the victim to court. Kowalski admitted that Lori Rieman was holding other charges, which of course are bogus too. 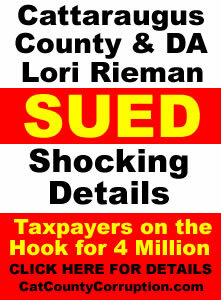 They always do this in an attempt to get their victims to plead to a lessor charge, but the important part of his statement was he sated that “Lori Rieman” was holding the other “charges”, not the district attorney office, not the ADA, but Lori Rieman. In other words he provided prima facie evidence that Lori remain was personally involved in the matter right at the beginning. That makes her personally liable just like she is in the four million dollar lawsuit. Thank you Cory the psychopath. One has to wonder if they will delete his and the other cops video’s also which is a 20 year federal prison sentence. So he is taken to the Ellicottivlle Town Court for arraignment. The judge knocks the bail down to $200 and the victim is sent off to the cattaraugus county concentration camp, He makes bail and decides to walk over to the location where his car is allegedly being held. He is told he is not allowed to retrieve it, he is not even allowed to look to see if it is there. He is not even allowed to get the house keys from his key chain nor is he allowed to retrieve his cellphone. Nothing at all upon orders of the District Attorney. The victim begins to wonder if they did actually take a couple of shots at him but missed. Later that day after the escape from the concentration camp when he awoke he noticed a large pool of dried blood at the bottom of his ear and a line of dried blood running from it down the left side of his face. This was new blood because he had to take a shower when he first arrived at the county concentration camp. He is still having problems with the right side of his body which has a numbness and/or weakness. 96. Defendants were negligent in the hiring of the aforesaid agents, servants and/or employees in that they knew, or in the exercise of reasonable care should have known, that said agents, servants and /or employees of Defendant… did not possess the temperament and psychological makeup to properly carry out their duties as responsible government officials. 98. Defendants were negligent in their supervision of the aforesaid agents, servants and/or employees in that they permitted said agents, servants and/or employees to violate proper and ethical prosecutorial procedures and/or the rights of citizens under the United States Constitution in general; failed to discipline personnel who violated proper and ethical prosecutorial procedures and/or the rights of suspects under the United States Constitution in general. As a side note Cattaraugus County is one of the only counties in the state that does not require its law enforcement personal to take a mental evaluation before they are allowed to carry a gun. Mr. Kochan’s attorney then sends a letter to the District attorney stating that if his property was not released immediately he would file an Article 78 to order it released. Most of the stolen property was returned immediately. His lawyer has also sent in a letter to preserve the evidence, video, audio, blood samples, etc… as well as the subpoenas to acquire any and all video/audio evidence to prove what actually happened. 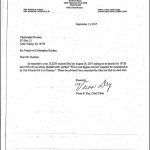 But this week Mr. Kochan paid a visit to the town court to review the file and discovered the subpoenas were not yet filed. According to the court clerk Elizardbeth did not like them so they were not filed because she claimed that Mr. Kochan’s lawyer was not following proper CPL procedure. When Mr. Kochan asked which CPL his lawyer was supposedly not following the court clerk could not answer. Looks like Elizardbeth is making up more laws out of thin air again. Further, Elizardbeth has no right to contact the court clerk and oppose the subpoenas. That has to be done through a motion in opposition that has to go in front of the judge. Constant Illegal Harassment and Intimidation Tactics by the Catt County RICO Revenuers. But that is not the end of the story. 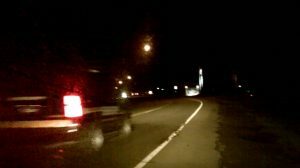 On March 23rd, 2016 Mr. Kochan was traveling through Salamanca attempting to exercise his constitutional rights, which is considered one of the most heinous crimes you can commit in Cattaraugus County, as he was approaching the intersection of Broad and Main (right near the rite-aid) the light had just turned yellow as he was already into the intersection, which you are allowed to proceed though a yellow light. But this is Cattaraugus County, where justice goes to die. About a block away heading east something catches his attention in the rear view mirror. 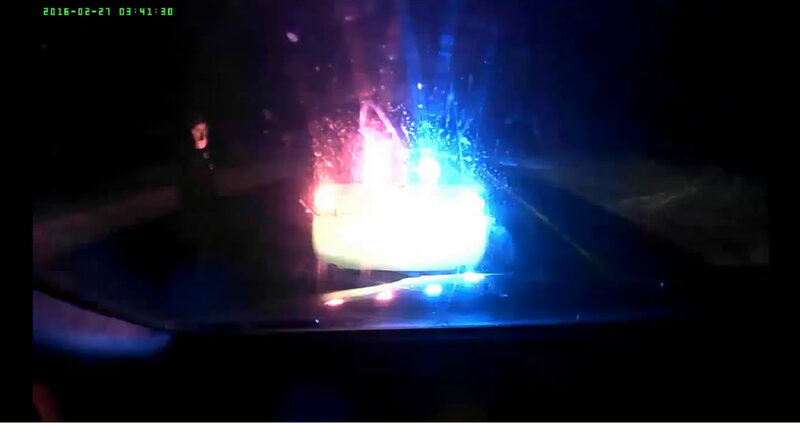 He sees a cop car with his emergency lights on in the intersection he had just gone through lawfully. Worried he maybe assaulted again and that the cop would falsely accuse him of passing through a stop light he pulls over onto a side street. Mr. Kochan has never seen this cop before. He does not know him in any way. He immediately starts to protest that he went through a yellow light and not a red one. The officer then makes a startling admission which proves that all the cops in Cattaraugus County are out to get him, i.e. a conspiracy to deprive him of his rights. He states “your the one that got in trouble…”. At first the cop would not answer where he got the information. Thank you officer psychopath for providing proof of a conspiracy that his name and car description is being illegally distributed throughout the county by corrupt law enforcement personal. Lets not forget that the cop also works for the same Salamanca PD. The picture is a still from the video of the this psychopath’s car almost colliding with the first car to come out from Main Street after the light turned green for the drivers on main street. 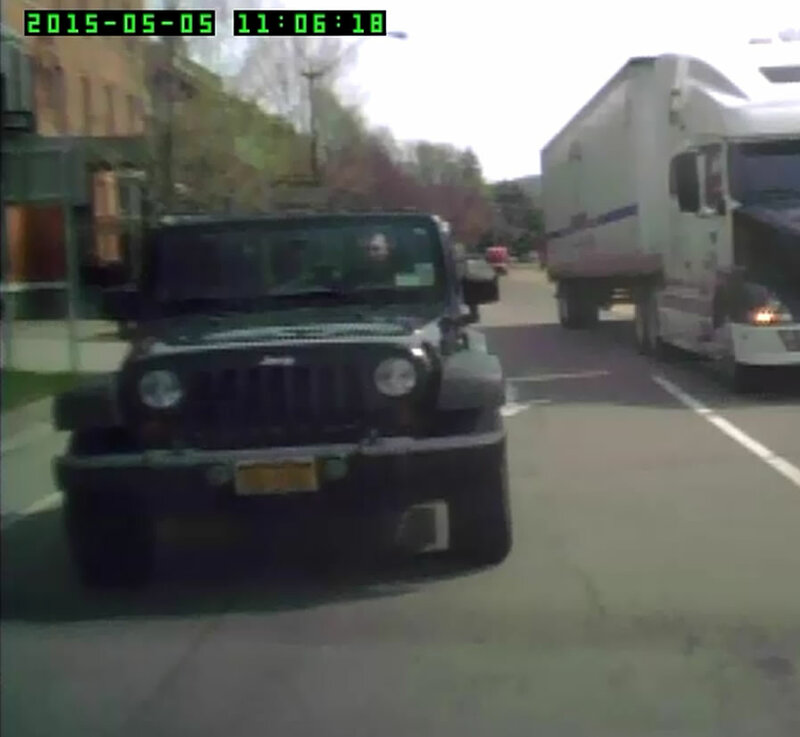 The video shows this car coming out well after Mr. Kochan passed through the intersection. The other videos will also prove the fact that he did not go through the red light. I am sure Mr. Kochan will demand a supporting deposition so he can catch the psychopath in more lies. A Supervisor arrived on the scene and confirmed for Mr. Kochan that the psychopath’s car does have a video recording device. Will this video be deleted to? Mr. Kochan has his own videos to back up what actually occurred. “It is not necessary to prove a conspiracy before evidence of specific acts of the alleged conspirators can be received. The conspiracy itself can be established by evidence of particular acts, which, taken together, furnish a basis for a finding that a conspiracy exists” [People v. Connolly & Seely, 253 N.Y. 330; 171 N.E. 393; 1930 citing People v. Miles, 123 App. Div. 862, 875; affd., 192 N. Y. 541]. The other interesting aspect of it was the cop removed his name tag which is further proof that he did not want to be identified. When Mr. Kochan questioned him again about how he found out about how he knew him, the cop lied. He said he read it in the newspaper. Sorry Mr. Psychopath, but their has been no write-ups in any of the newspapers what so ever. Thank you psychopath Depasquale for giving Mr. Kochan proof that you were stalking and harassing him and lied about the encounter. 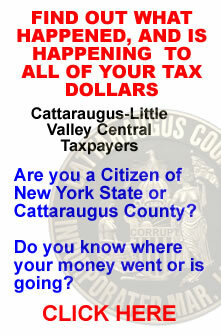 This is what the totally corrupt RICO elements of Cattaraugus County do. They illegally target and harass people who dare stand up for their rights, and when they do they are charged with “Obstruction of Government Administration”. Mr. Kochan was charged with just such a “law” when he remained silent while being assaulted and knocked out by a “Sheriff Deputy” Bryan H Schwabenbauer who has a history of assaulting citizens and perjuring himself and has been sued in federal court for just such conduct. Mr. Kochan has been the constant target of these criminals. They constantly engage in this sort of harassment and intimidation. They have even terrorized his family members. 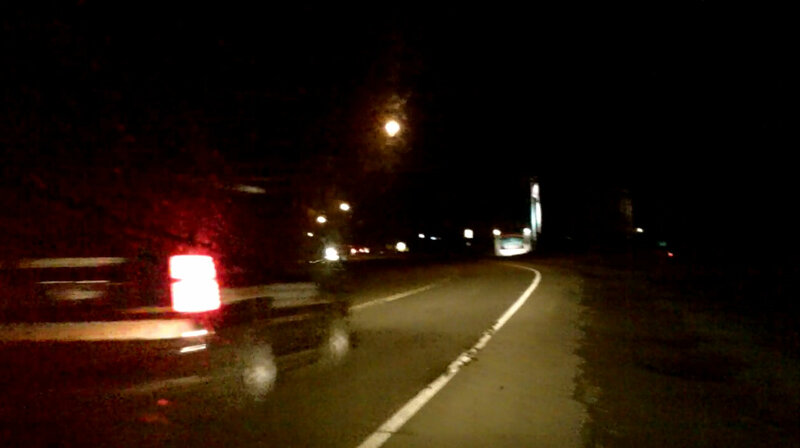 Just the night before the Salamanca incident he was followed as soon as he came into Cattaraugus County down route 219. This appears to be the same SUV that the victim saw in the Ashford Hollow area of 219 right before the assassination attempt that same night. 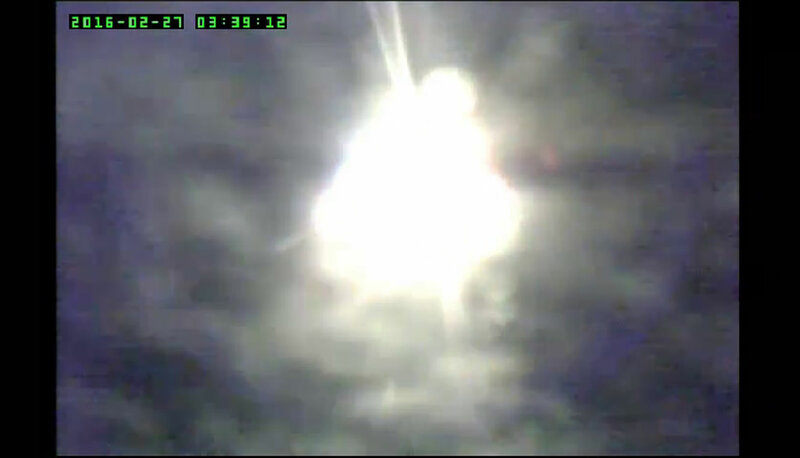 Here is a still from the video he made as proof that they were illegally following him the night before the March 24th incident on his return trip from a meeting with his lawyer in Buffalo the night before. Here was another time the were stalking him. 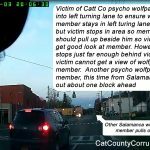 He was taking an evening drive on Sunday, two members of the Cattaraugus County Wolf pack descended upon him, one was in a white marked SUV, the other was in one of Catt Counties latest police state vehicles, a ford interceptor, which does appear to have real-time subject location/information technology. 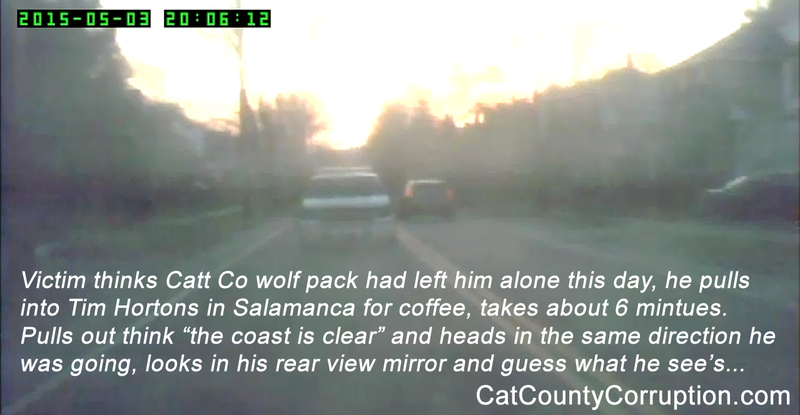 They pursued him all the way into Salamanca, to Broad and Center St (Route 353) where one of the wolf pack members made a right turn and appeared as if they were going somewhere else, like the casino or route 86. So the victim turned off his video protection system and proceeded to the drive-thru at the local Tim Hortons, this took about 6 to 7 minutes. Please excuse the graininess of the pictures, the victims back window in the car was dirty. The victim pulled out back onto Broad St to continued east to enjoy what was left of his liberty to travel about the land with the hopes his 4th amendment rights would not be violated anymore that evening by these thugs. However, that was not to be, he looked in his rear view mirror and there was the white SUV directly behind him again. It’s is obvious the SUV turned around. “The Fourth Amendment provides that “the right of the people to be secure in their persons, houses, papers, and effects, against unreasonable searches and seizures, shall not be violated. . . . This inestimable right of personal security belongs as much to the citizen on the streets of our cities as to the homeowner closeted in his study to dispose of his secret affairs. For as this Court has always recognized, no right is held more sacred, or is more carefully guarded, by the common law than the right of every individual to the possession and control of his own person, free from all restraint or interference of others, unless by clear and unquestionable authority of law.” Terry v. Ohio 392 U.S. 1 see also Union Pac. R. Co. v. Botsford, 141 U.S. 250, 251 (1891). So coming up to the intersection of Broad St and Main, near RiteAID, with the White wolfpack SUV directly behind him, the victim made it appear as if he was going to take a left hand turn onto Main, however he quickly moved over into the right pass-through lane and came to a stop in an area, where if the Wolfpack SUV would have stopped properly in back of the car in front of it which was also waiting to turn left, the victim would have gotten a clear view of this wolfpack member and would have been able to take a picture of him. Did the SUV come to a proper stop location? Why of course not, it stopped far enough behind so the victim could not see or get a picture of the driver. Upon reviewing the video the victim determined the location of another wolfpack member was lying in wait to strike. 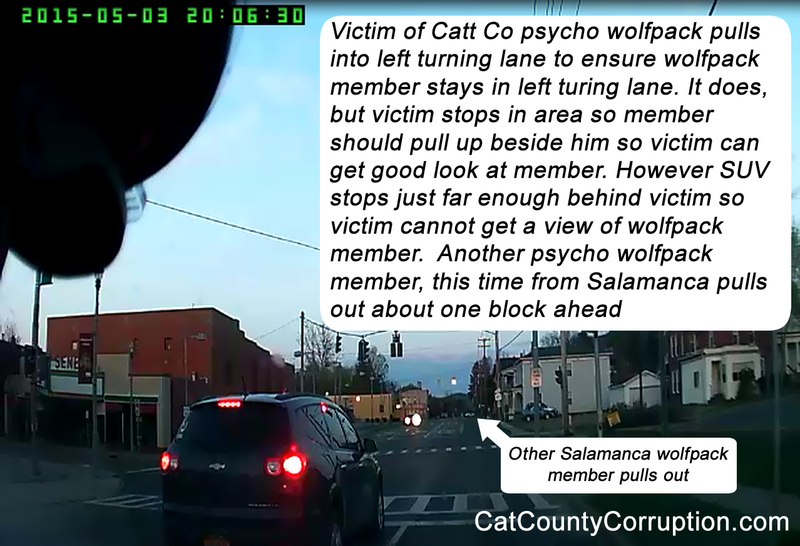 This one from the Salamanca Police department, however this one must of thought (or was warned by the white SUV wolfpack member that the victim was going to be turning left so he proceeded to turn onto Broad St so he could pursue the victim also. 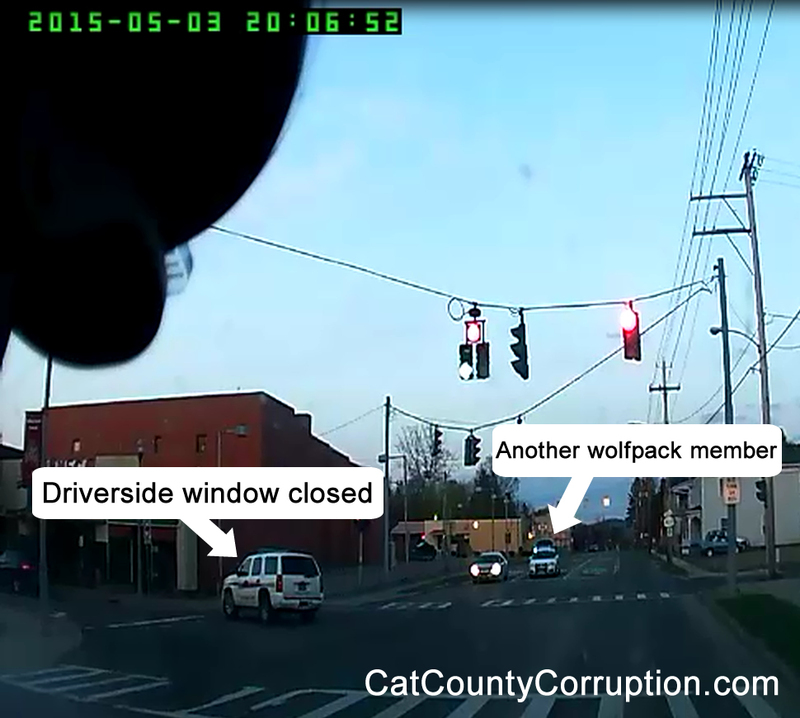 The criminal wolfpack member made a mistake, it appeared he did not realize that the left hand turn street signal turns green before the right side pass through lane signal. As the the White Wolfpack SUV drove pass the victim the victim got a pretty good look at the criminal behind the wheel. He was short and stocky, blond crew-cut hair with glasses, and he was wearing what appeared to be civilian clothes. He was in a white T-Shirt. OUT OF UNIFORM, not clothed in the authority of the law. Nothing new in Catt County! The victim also went shopping in a local town nearby. The victim’s car was parked right out front where it could be easily seen and recognized by the criminal wolfpack. He walked into the store to purchase one item, however he ended up with some more, he was only in the store for a couple of minutes when he saw this thing walk in, in full uniform he walked in and as usual the criminal did a visual scan of the area. Ohh… the victims is spotted at the check out line. The victim checks outs and proceeds to exit the store, gets to his car, enters it, gets things in order and starts it, which was about 30 secs to 1s minute. Victim looks up and there is the thing exiting the store. the victim pulls out onto Washington heading west to go home. 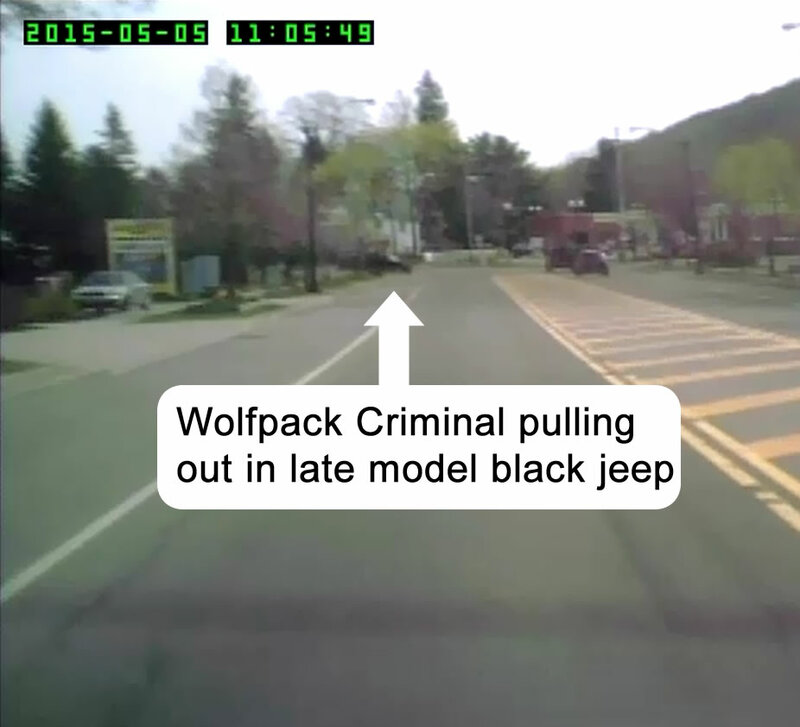 The victim notices the black jeep of the criminal wolfpack member pulled out and head in the same direction. The criminal catches up to the victim at the intersection and starts to follow the victim. they get to an area of road construction and the they both come to a stop. The victim notices that the criminal was looking for something and the next thing you know the criminal appears to be taking photos of the victims car with his cellphone. 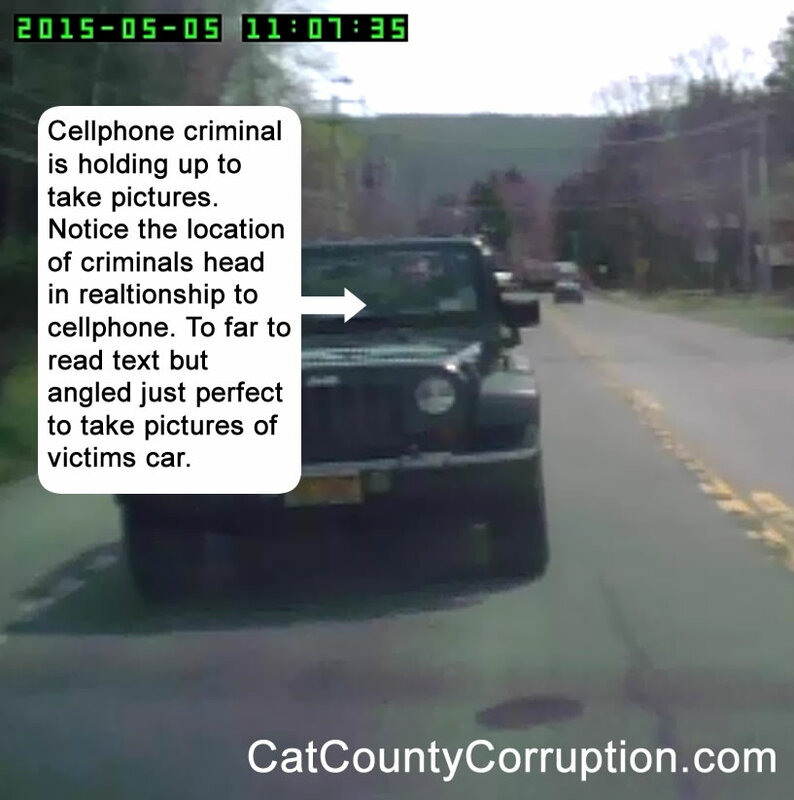 while the picture is grainy the victim clearly saw this criminal taking photos of his car. This criminal was watching the victim before. 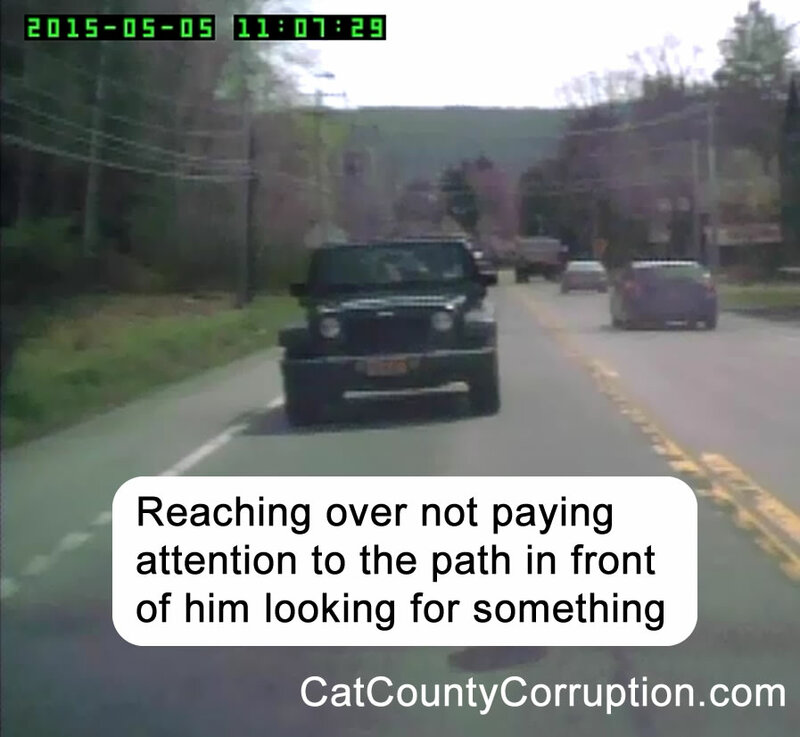 The victim had seen him before in Ellicottville. 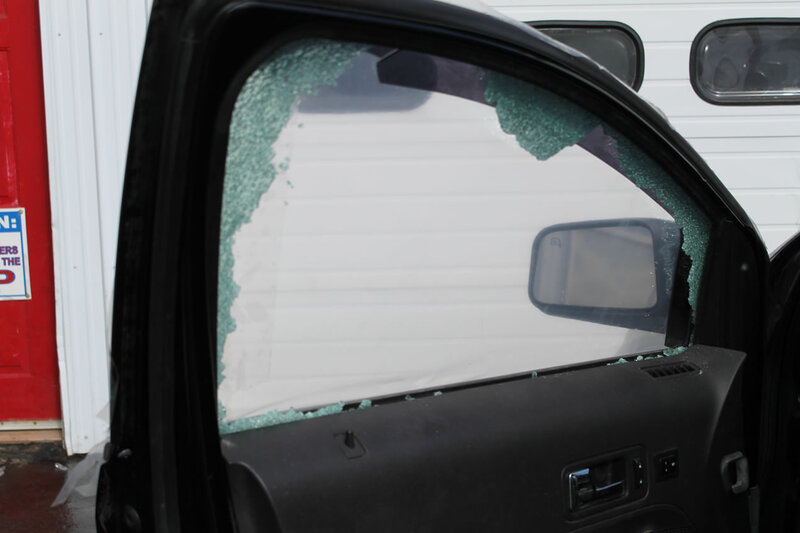 The criminal clearly knows the type of car the victim has, so what was the purpose of the photos? Simple; sending copies of the photo’s he took for them to pass around and engage in intimidation, terrorization, etc…a deeply embedded RICO pattern and practice the criminal wolf pack knows well.